All right, welcome to another edition of the Super Nutrition Academy Health Class. Today we’re going to be talking about something actually pretty controversial, and this is the truth about salt. Now, you’ve probably heard since the time you were born that it’s important to reduce our salt consumption because salt is correlated with an increased risk of hypertension or high blood pressure, which obviously is one of the big main factors in the development of heart disease. Well, is that necessarily true? We’re going to examine this in this episode, so sit back and grab some water and let’s get into this. Before we start I want to share a little story from my own life because this is something, for whatever reason, never really clued in until very recently for me. And the reason this really hit home for me is because I recently—well, a little while ago, depending on when you’re listening to this—I had some hormone testing done for my adrenal glands, and it showed that I had kind of borderline adrenal fatigue. It kind of made sense because I felt some of the symptoms and so forth of adrenal fatigue. One of the really important nutrients or minerals that is really important for people who suffer from adrenal fatigue is sodium. The reason for that is because when you have adrenal fatigue, the hormones that are secreted by the adrenal glands—one of them, for instance, called aldosterone—is responsible for sodium regulation. Sodium is the mineral that’s part of salt. Aldosterone is, one of its main roles is sodium retention or sodium regulation inside the body, and when the adrenal glands are not functioning properly, that whole process of regulating sodium becomes impaired, so you actually don’t retain as much sodium as you should. Therefore, one of the symptoms with adrenal fatigue is a frequent craving of salty foods and salt. This got me thinking this actually makes a lot of sense because when I play soccer or when I exercise or sweat profusely, the first thing I want when I get back is salt, something kind of salty. If you think about it, it makes complete sense because when you sweat, you lose many electrolytes, one of them being sodium, which is obviously the major component of salt. I’ve always advised my athletes to do this, and I don’t know why it kind of didn’t ring true for me until recently, is if you’re profusely sweating, one of the first things you need to do is replenish your sodium, your salt right after your workout. In a lot of cases, if you’re preseason training, if you’re a football player and you’re in training camp in the middle of summer and it’s boiling outside and you’re just losing pounds and pounds of water, you’re also losing a lot of salt. A lot of proathletes, as well as high-level amateur athletes, must kind of increase their salt intake during training, even during the session; otherwise, their sodium and water balance can get so far out of whack that they can literally just kind of pass out. What I’ve been doing now after my workouts is, considering if I’m sweating a lot, I’m losing salt and obviously because my adrenals are somewhat compromised, what I’m doing is right after my workouts, I will drink water with a trace mineral solution in it. That trace mineral solution incorporates sodium, a little bit of sodium and some other electrolytes that I lose in sweat. The other thing I’ll do is, I’ll just have, if I have a smoothie, I’ll just add in some sea salt right in to the smoothie itself, so I’m increasing my salt intake. And the other thing I’ll do is, I’ll actually take some dulse, which is a sea vegetable, and I’ll just eat it, kind of like beef jerky. I’ll just take a huge stick of dulse and I’ll keep it in my mouth and I’ll let it dissolve and chew on it. The beautiful thing about that is that it’s a great source of sea salt but also tons and tons of trace minerals from the ocean. So, that’s what I’ve been doing after my workouts now, and it’s very important to do this…at least in my case. The reason I’m bringing this up is because, as I’ve mentioned, there’s been a lot of hype out there about reducing salt consumption and so forth, but recent reports now are kind of putting that into question. The current recommendation for salt intake according to the Institute of Medicine, is about one and a half teaspoons per day. This is for average age, middle age. I should say people up to 50 who are kind of healthyish. It’s about 2300 milligrams of sodium. That’s about one and a half teaspoons and that would be, let’s just say one and a half teaspoons of table salt. The problem for most people is that the majority of the salt, the sodium that we’re consuming, 80 percent of it, actually, is consumed from processed foods like cereals and baked goods. How crazy is that? Cheerios, brownies, all that kind of stuff, are a pretty significant source of sodium. Not many of us think of packaged goods—I mean, we might think of certain packaged goods as having higher salt content, but even the seemingly innocent ones can also be pretty problematic. So, with that said, is salt really that bad? Okay, first of all, we want to reduce our consumption of sodium via processed foods because I want you to understand there’s a big difference—and we’ll look at that difference in a couple minutes—between sodium or added processed iodized salt in processed foods versus Celtic and sea salt. Sea salt and iodized table salt are very different, and we’ll look at those differences in a moment. The current recommendation of salt consumption is, according to the Institute of Medicine, 1500 to 2300 milligrams per day. That is about half a teaspoon to one and a half teaspoons. Now, the historic thinking—this thinking has been going on for about 40 years now—has been that if we increase our salt intake and the scariness of that is that, as I just mentioned a couple moments ago, if we increase our salt intake, salt absorbs water. It holds on to water in the body. I think we mentioned this briefly in the past: If we retain more water, more of that water has now increased our blood volume. And if we’ve got more blood volume, inherently, we have greater blood pressure, because there’s more volume in the same amount of blood vessels within the body. That’s been the typical thinking about this stuff. However, new studies are really refuting and putting this stuff up into debate. The reality is that for as long as possible, this whole kind of scare about salt has really come out of some very faulty science, to say the least. I’m going to give you a couple examples of those different scientific studies. This whole thing came about really, again, as I said, about 40 years ago, and it all came about due to some really small sample-size based studies which were, in a sense, kind of case studies. Not even a huge, conclusive, thousands of people involved type of meta-analysis. Even the current recommendations that are now coming as a result of what was called the DASH-Sodium Study, which was, essentially, a 30-day trial, and I’ll tell you about that in a second. That recommendation out of that study is now why the USDA, the Institute of Medicine, the CDC, the National Institutes of Health, they’re all basically on the same bandwagon with respect to sodium consumption. What this DASH study did was they looked at a total of 412 participants, and these were either just random people, so they could’ve had high blood pressure, low blood pressure, and they were basically divided up to a typical intake of the Western diet or what was called the dietary approaches to stop hypertension diet, which was rich in vegetables, fruits, and low-fat diary products. That right away just kind of seems like a better fit, right? The conclusions of that study were essentially that the reduction of sodium intake that was seen on the DASH Diet both lowered blood pressure substantially, with great effects on blood pressure. But that was about it. There was really nothing else. Even in the standard American diet group, they found that, well, we have an increase in blood pressure, but there was no correlation. There was no—again, this is the difference, we talk about this in Super Nutrition Academy, the difference between surrogate end results and true end results. A surrogate end result would be looking at blood pressure as a potential marker of heart disease when, literally, what we’re looking at is heart disease. Blood pressure hypertension is not the same as cardiovascular disease. What they found in this study was that those who were obviously consuming more of a standard Western diet had higher blood pressure, but it wasn’t, that’s it. They didn’t really say anything further than that. It didn’t increase the risk of cardiovascular disease and so forth. They just found that eating more fruits and vegetables is better because it lowers your sodium intake. And we know that generally, eating more of a plant-based diet is the way to go. This, again, the one study—this was done back in 2001 with 412 participants—really became the foundation of the current recommendations from these major governing bodies with respect to health. Now, am I saying that it’s totally fine to have 10,000 milligrams of sodium a day and eat lots of sodium because that’s great? No, no, no, no, no. We’re not quite there yet. Just stay with me for a moment here. What I do want to mention is, again, I want to bring up some of the fallacies in this whole argument. It’s funny because we see the same thing with fat; we saw the same thing with fat that came out of some faulty science back in the 1970s, which led everybody to believe that eating more fat was correlated with greater risk of heart disease, and we know that that’s not necessarily true. It’s the type of fat that we’re eating. It’s the vegetable oils that are the problem. These rancid oils that are causing inflammation inside our blood vessels, which inflammation we now, markers like CRP, c-reactive protein, or interleukin 6, those are big, big-time correlates to heart disease, which we know are coming as a result of a lot of the inflammation happening in our body with some of these, a lot of these vegetable oils, like canola, corn, soy, and so forth. I’m just kind of sifting through my notes here to bring you some of this cool stuff. Again, as I mentioned, 40 years, so it was 1972 the National Institutes of Health introduced what was called the National High Blood Pressure Education Program. The whole goal was to prevent hypertension, and the problem was that no meaningful experiments had yet been done. They just kind of established that, let’s look at some basic studies and see what comes up. What they had is they basically referred to two studies, really small and not variable translatable studies to human health, if you want to think bout it that way. One study—it wasn’t even a study, really. It was really just an observation that populations that ate little salt had virtually no hypertension. But what they didn’t consider was that those populations also didn’t eat a lot of other things, like processed, packaged foods, sugar, and so forth, which also could have been one of the reasons that there was less hypertension. The second study looked at a strain of salt-sensitive rats that reliably developed hypertension on high-salt diets. They wanted to see, okay, if we give these rats who are already susceptible to salt and hypertension, if we give them increased salt in their diet, will they display that? Well, they did but the problem was that the amount of salt that they gave these rats was 60 times more than what the average American consumes. 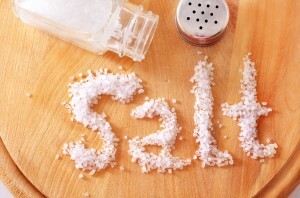 The average American currently consumes about 3200 to 3500 milligrams of sodium per day. Multiply that by 60 times, and that’s kind of the baseline of what the National Institutes of Health program for reducing blood pressure was using as a benchmark. So, pretty unrealistic. And then, obviously, this continued and then there was more and more science which was essentially inconclusive, contradictory, inconsistent. And this pursued for decade and decades. We’re looking at studies that are in the biggest medical and nutrition journals. We’re seeing stuff that is not consistent in the sense that okay, if we have more salt, we’re going to have more heart disease. Essentially, what a lot of these studies are showing is that yes, if you have more salt, you’ll increase your hypertension, but what we’re seeing now is that that is not necessarily correlated in all cases to heart disease. What, recently, we’re finding is that healthy people who are eating low amounts of sodium actually have increased risk of heart disease. How crazy is that? A couple years ago, about four years ago there was an Italian study, researchers out of Italy that began publishing results from a number of their clinical trials. All of these trials reported that among patients with heart failure—these are patients with heart failure, not even healthy patients—reducing salt consumption increased the risk of death. Just to give you some more kind of physiological reasons for why some of this might be happening, a New England Journal of Medicine study back in 1972 reported that the less salt people ate, the more their kidneys produced something called renin, which is a type of hormone which sends off a cascade of events which ends up in increasing our risk of heart disease. Essentially, we eat less salt, our kidneys secrete more renin, we basically develop more heart disease as a result of that, and we die prematurely. Salt is very, very important in the human diet. Before we continue looking at some of these studies, let’s look at why we need salt. What is the benefit of salt? Why do we need it in our diet? I’m just going to rhyme off a couple different things here. First of all, salt—and when I talk about salt, you can kind of interchange it with sodium—salt is vital for the generation of hydroelectric energy in the cells in our body. Our cells produce energy, there’re action potentials that go across all our nerve cells. There are different membrane potentials that take place. We have a sodium potassium pump, if you remember that from biology. All of that stuff is dependent upon sodium. Sodium or salt is vital for balancing the sugar levels in the blood. We’ve seen people, what’s interesting is that some studies have shown that people with very, very low intake of salt actually have increased insulin resistance. Their body becomes less sensitive to insulin if there’s less or too little salt in the body. Salt is most effective in stabilizing irregular heartbeats and very important for nerve cell communication. Nerve cells we just talked about briefly. Obviously, all the communication in your body, in the nervous system, comes from neurons and action potentials that happen across these millions and millions and millions, probably billions, obviously, of cells we have in our brain and nervous system. Salt is a vital component to that. Salt is also vital for the absorption of food particles through the intestinal tract. 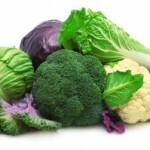 It’s vital for the clearance of mucus that builds up in the lungs and sinus cavity. If you’ve ever had a sinus issue—we talk about this in Module 12, I think, in the Academy—sinusitis or stuffed-up sinus cavities, one of the great things you can do is take a neti pot and, with a neti pot, you essentially just put it in—it kind of looks like a magic genie lamp—you put it in one nostril and you tilt your head. You have water with salt in it. There’s a reason, again, the salt is in there. We just kind of tilt our head, and the salt kind of drains out our sinus cavity. That’s one of the greatest ways to clear up a plugged head, plugged sinus. There’s a reason that we use salt and not anything else. Salt has strong natural antihistamine activities. It’s essential for the prevention of muscle cramps. That’s, again, why athletes need to be replenishing their salt during and after activity if it’s especially in very, very hot climates. There’re so many, so many vital components that salt is related to in terms of activity in the body. Very, very important. Back to some of the recent stuff. Again, the whole idea here is that what we’re seeing now is new research, again, coming out of a lot of different sources, whether it be the National Institute of Medicine or different studies, we’re seeing that the earlier recommendations and studies that led to the recommendations of lowering our salt intake are maybe not as conclusive and, in many cases, inconsistent than what we previously thought. 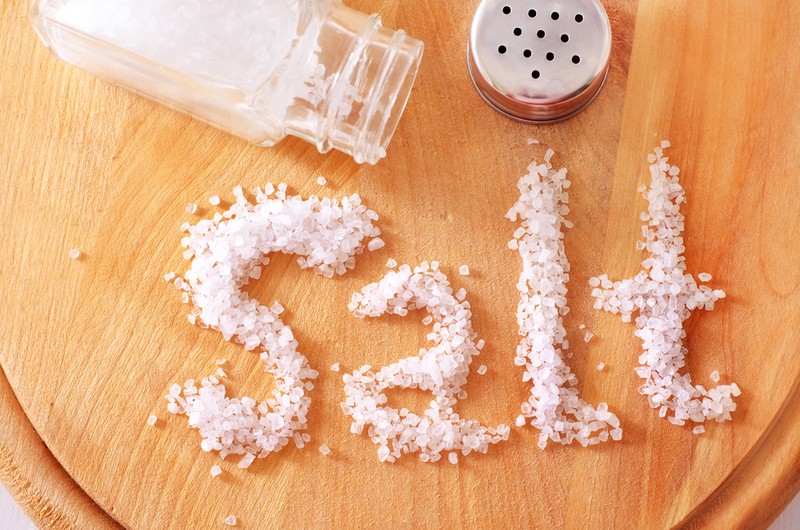 We’re starting to see now that salt has a very important role in our health. Specifically, studies low-salt diet, studies looking at low-salt diets since the 1980s have shown that there’s no more, that these low-fat, low-salt diets create no more than a “minor irritation that causes a bit of aggravation”—this is quote-unquote from a cardiologist named Graham MacGregor, and he’s been promoting a low-salt diet since the 1980s. He’s seeing that low-salt diets are not the solution to battling heart disease. Sure, they’ll reduce hypertension in people with already high blood pressure. Sure, if you’ve got high blood pressure, you want to reduce your sodium consumption. But, again, here’s the thing. If you’ve got high blood pressure and you’re eating more of a plant-based diet, I guarantee your blood pressure will naturally fall very quickly. If you’ve got high blood pressure, it’s most likely—again, there’s obviously a very small genetic component, but in most cases it’s because you might be smoking, you’re eating a lot of processed, garbage foods, and those are the big culprits of high blood pressure. Obviously, stress is there as well. We’ve talked a lot about stress over the last couple episodes, and stress is, maybe not just in my mind, but based on a lot of studies, stress could be a greater contributor to hypertension and heart disease than salt. We already are looking at stress management a lot better, but maybe shifting the focus toward getting in quality salt and focusing on removing a lot of the salt from processed garbage, because if we focus on removing the salt from processed foods, then essentially what we’re doing is we are minimizing the intake of processed foods, which benefits us across the board, right? Hopefully that lays a good foundation for you. Actually, I want to bring up a couple more meta-analyses. These are larger studies that look at all the different studies, and I want to give you a couple, a synopsis from some of this stuff. Over the last couple years, there’ve been a ton of studies suggesting that reducing sodium to anything close to what the government policy refers to as the safe upper limits, about 2300 milligrams, is likely to do more harm than good. These studies have covered more than a hundred thousand people across more than 30 countries and have shown that salt consumption is remarkably stable among populations over time. In the U.S. it has remained constant for the past 50 years in spite of the fact that we’ve had these eat-less-salt messages for the past 40 years. In spite of that—it’s like cancer, like heart disease and cancer. We put all this money and all this awareness not these campaigns and, still, we’ve made very little progress. Again, across these countries and across these populations, the average salt intake was about one and a half teaspoons a day, which is almost 50 percent above what federal guidelines consider the safe upper limit, which is, again, between 1500—well, 1500 is really the safe upper limit; 2300 is really the upper, upper limit for healthy Americans…ish. The consistency across all these studies and all these people is that how much salt we eat is determined by physiological demands, not diet choices. What that means is that in some cases, there is a merit to have lower sodium consumption. If you have high blood pressure, if you have a predisposition to hypertension, you definitely want to reduce your salt consumption. If you’re someone who has adrenal fatigue or if you’re a high-performance athlete who’s exercising in the heat five days a week, there’s a very different salt intake that you’re going to require. With that said, what do you do? Because you know that I espouse obviously eating more of a plant-based diet, and I’m not saying that you should be 100 percent raw vegan. I don’t think that’s the goal; the goal is to simply eat more fruits and vegetables, more of them preferably in their raw state. And if you do that, one of the things you’re going to notice is that by default, you’re going to reduce your sodium intake, because there’s not much sodium in plant foods other than celery, which is probably the highest source of sodium out of the vegetable family. One of the things you’ve probably noticed is that if you drink a lot of water and if you eat a lot of plant-based foods, a lot of raw foods, for instance—smoothies, juices—you’ve probably noticed that you go to the bathroom quite a bit and you’re peeing quite a bit. Now, that’s good but it can also be a little bit of concern, because if you’re constantly peeing, then you’re losing salt in your urine. Let me repeat that. If you’re constantly drinking a ton of water and eating a lot of plant-based foods, which is a great thing, you have to be very aware that you’re also losing a good amount of sodium, so you need to replenish that sodium. What do we do? We look at how do we get more sodium in. Well, we can either add salt to our foods. That’s probably the easiest way to do it; that’s pretty much the only way to do it as far as I know. And then we have to look at what’s the difference between different types of salt. We have table salt, which you can find at pretty much any grocery store, in those boxes and it says “iodized salt.” And just a quick note on iodized salt: Iodized salt is essentially sodium chloride, or NaCl, and it’s been heavily processed through mining. And then it goes through all sorts of different processing where water is injected with tremendous force. It goes through all these different purification and stripping processes. What we have is the mining salt from, usually in a lot of cases, rock. It’s coming from the earth, not the sea, which sea salt comes from, and then they’re heavily processing it down to its basic component, which is sodium chloride. And then they add things in like anticaking agents. Crazy, right? One of the things that they started doing a couple years ago—a couple decades ago now—is adding iodine to salt because what they wanted to do was, they realized that iodine is heavily deficient in most of our diets, and it can lead to goiters if we don’t have enough of it, so they started iodizing salt. That was a big campaign that they rolled out, especially in third-world countries. They started introducing iodized salt, and in some cases, obviously, there was some positive result to that and fewer thyroid-related sicknesses. But there’s a better solution than table salt. Table salt is that fine, really powdery type of table salt that you find at any restaurant. What you want to look for is sea salt. Sea sat or Celtic salt, kosher salt even. I’m just going to talk about sea salt because they’re pretty much all the same. Himalayan sea salt; it’s pretty much all the same stuff. Sea salt comes from evaporated ocean bed kind of. The sea salt that I use is from a company based out of Mexico and awesome, just delicious salt. It’s called, I don’t even know what the name of the salt is. I think the Web site is RealGoodSalt.com, and I’d highly recommend getting it. Basically, what they do is there’s a lagoon in Mexico, and when that lagoon dries out or it evaporates, they then mine the salt out of the evaporated sea bed, and that’s where their salt comes from. It’s a completely natural process; there’s very minimal processing involved. It’s extracted just simply by evaporating the water from the sea or the ocean, and this is known as solar evaporation. When this happens, salt crystals are left behind, and therefore we can take the salt crystals and do whatever we have to do with it. A very simple way of thinking about this is that when you sweat, right—if you have dogs, you’ll probably notice this. If you go for a run or you go for a workout, you sweat a lot. What happens when you get home? Your dogs, if they’re like mine, will start licking you. Why is that? Because now that the water, the water has wicked away, it’s kind of evaporated, what’s left on your skin is salt. And that’s essentially what happens with solar evaporation. You have this kind of salt residue on your skin. Same thing with sea salt; it has this kind of salt residue on the floor of the evaporated sea floor bed. Here’s the cool thing. I’m just going to give you some comparisons between sea salt and table salt. Sodium chloride, which is NaCl, so it’s a combination, it’s one molecule of sodium and a molecule of chlorine. That’s the major component of both table and sea salt, so 97 percent in both cases. 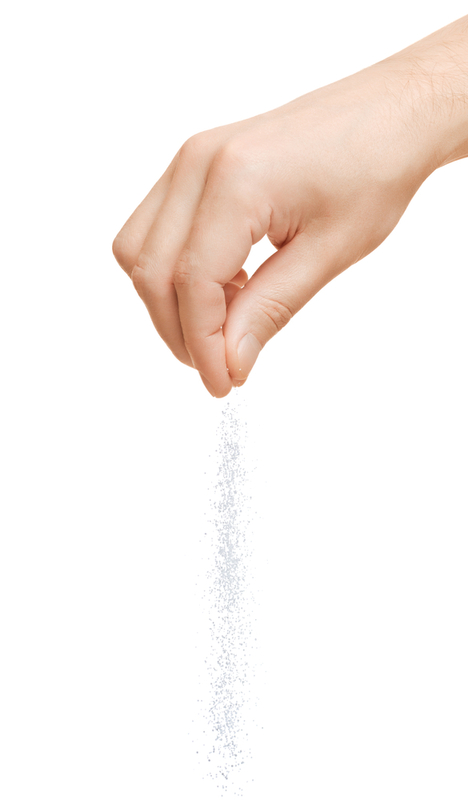 Table salt can have up to 99 percent sodium chloride. Sea salt also contains potassium chloride; table salt has none. And the big benefit to sea salt is that it’s about 1 percent trace minerals. Trace minerals are hugely important. Trace minerals, one of the benefits of eating stuff from the sea, like algae and stuff like that, is because of all their trace minerals. Things like, probably stuff you’ve never heard of, argon, rubidium, copper, barium, helium, indium, molybdenum, nickel, arsenic, uranium, manganese, vanadium, aluminum, cobalt, silver, zinc, krypton, chromium, germanium, xenon. These are all trace minerals that our body can benefit from that we very rarely get in our typical diet, especially if we’re eating more land-based foods. Sea salt is awesome in that regard. Trace minerals, very important. They’re coming in a balanced form. That’s the key with minerals, is that they come in balanced relationships to one another. It’s not about increasing your intake of calcium by itself. Calcium needs to be in a proper relationship with magnesium, with phosphorus, with other minerals, and that’s the importance. Getting it from whole, natural sources is really the best way to do it. Texture wise and shape wise, you’ll notice that sea salt is a lot more coarse; it comes in kind of chunks, and that’s a good thing. And when you eat the sea salt, it actually tastes like, if you’ve ever gone to the ocean, you’ve tried surfing the waves, just having fun on the waves, and you got hit by a wave and you kind of drank some saltwater just because it was thrown at you. That’s kind of like what sea salt tastes like, which is completely normal because it comes from the sea. Those are the main differences between sea salt and table salt. Just understand that sea salt is higher in trace minerals, it’s very minimally processed, it’s actually more beneficial for you, tastes better, and add it in to whatever dishes you’re making. Again, if you’ve got high blood pressure, I wouldn’t recommend this, but if you’re a health individual who has normal to low blood pressure, there’s no reason why you can’t increase your salt intake. Again, don’t go crazy with the stuff, but don’t be scared of it. 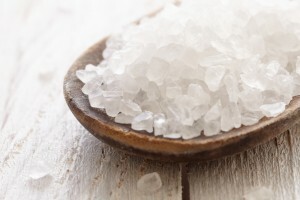 Table salt, if you have any at home, the iodized table salt, throw it in the garbage, because you’re still going to be getting iodine in sea salt, because iodine comes from the sea, so if you just have more sea salt, you’re going to get iodine as one of those trace minerals. That’s the main difference between table salt and sea salt. I’m just trying to think if there’s anything else I want to cover in this episode here. I think just kind of looking at some takeaways, the main recommendations is that, kind of the new science is that there is new science showing adverse health effects of low sodium intake, especially among individuals with diabetes, kidney disease, cardiovascular disease, as well as people who are healthy and trying to limit their salt intake because of fear that too much might cause potential problems heart disease wise down the road. Again, Americans are currently eating, on average, between 3200 to 3500 milligrams of salt a day. And remember, most of that salt is not coming from sea salt; it’s coming from table salt. Well, not really; 10 percent of it is table salt. 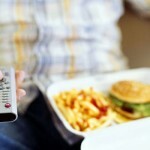 The vast majority, 80-plus percent, is coming from processed foods. I think if we really reduce our processed-food consumption, we’d get rid of those other worries. Just remember the difference between table salt and sea salt is like night and day. Opt for sea salt whenever possible. Add a little sprinkle on some of your favorite dishes; it really adds a nice flavor to it. You don’t necessarily have to use sea salt. You can use sea vegetables, as I just mentioned, like dulse, kelp, nori, arame. Those are all tremendous sources of natural sodium found in the sea, as well as all those other trace minerals that we talked about. All right, I hope this episode has found you well and has hopefully got you thinking a little bit differently about salt. Salt is not necessarily the bad guy that it’s been laid out to believe. Yes, when you go to the store and you see anything in a package, it’s going to have sodium in it, so obviously look at the amount of sodium in those packaged foods. It’s going to have a lot of sodium in a lot of cases. It doesn’t mean that you opt for the low-sodium option. It just means that you don’t even have those chips in the first place or don’t even go to McDonald’s. You’re choosing better foods, freshly made, and you can add in your own sea salt as you see fit. If you’re healthy, if you don’t have any high blood pressure issues already, there should really be no reason why you can’t add sea salt in to your diet on a daily basis. Again, thanks for joining me for this lengthier version of the Super Nutrition Academy Health Class. This is an important topic, so I wanted to cover a lot of stuff today. I hope you’ve enjoyed it. I’ll see you in the next episode. Thanks for the info. I will up my salt. I do suffer from sinus. My husband asked me about the other night. I forgot about the connection between salt and sugar the same as when you bake. Sugar tells it to grow and salt says that’s enough. Without the balance you would big air pockets in your bread. Thanks for filling my goal of learning something new every day. I am now listening to how many calories do you really eat. I tell you I know within 100 calories. I count nutrition instead of calories most of the time. I have to check something on your website. I love your training/teaching so much I might have to order your program. Thanks Lynn. 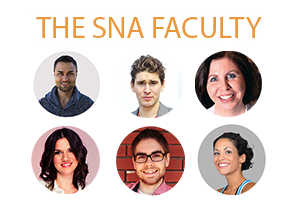 You’ll love SNA even more than the free podcasts. 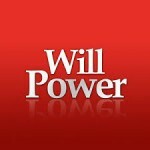 Great blog, I have been wondering about this. Back in my ranching days, we put out salt blocks for our cattle- vital for their health and reproduction, and I wondered how it would be so toxic for us. Hmmm. I use a sun-dried celtic sea salt from Selena Naturally. I dont use it on food so much, but use a recommendation by Dr. Batmanjani (spelling?) in his “Your Body’s Many Cries For Water” of using about a teaspoon in a gallon of (filtered) water. I drink this over a course of a couple of days. My work environment, especially this time of year is very very hot and I sweat a lot, so this is a good way to replenish sodium and other mineral salts lost in perspiration. I also use sea veggies- but probably not as much as I should. I would like to ask for references to the studies so I can get them on my computer. But very very good and important info- thanks Yuri!! 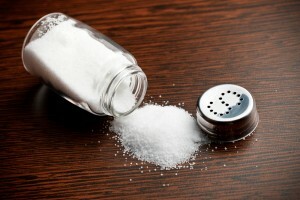 Thanks for this very informative article on salt. I have already purchased sea salt but haven’t started to use it. This gives me the basic knowledge I need to get moving. I’m also going to try sea vegetables. I will look at other articles also because of your presentation that is layman friendly. Good article – but you need a better proof reader. There are too many confusing writing errors in this article. You can fix the mistakes without destroying your conversational writing style. I have noticed this in quite a few of your articles. As readers, we don’t need perfection and I don’t suggest we quibble over obscure grammatical issues, but you do need a decent proof reader before you publish – it will increase the clarity and accessibility of your arguments. 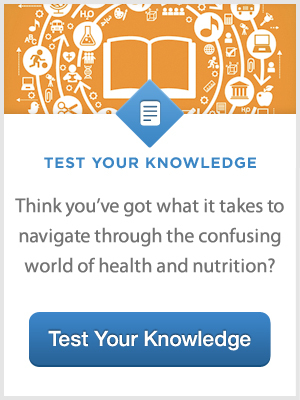 Thanks for the info – I appreciate having a deeper understanding of the importance of salt. The absolute best sea salt is Himalayan salt it has over 80 trace minerals and is very pure. Go to Mercola.com and do some research on it. It wonderful and the best tasting salt I’ve ever had. It has no mercury in it as some sea salts have. I have been eating a lot of raw food lately, sometimes my green juice has celery but not all the time. Breakfast: Blueberry morning I put only 1/4 cup of homemade almond milk. 2 snacks: fruit + nuts, Lunch: Salad, Dinner: Green juice. So it sounds like I don’t get enough salt daily. I do drink water equivalent to my weight in kg. How much sea salt should I be adding daily? Do I put salt in my salad or green juice? Oh I almost forgot, the nuts I like them salted, but am not sure how much salt that is if I have a 2 oz serving. Thank you. It’s tough to say without knowing you’re at. Recommended upper limit is 2400mg of sodium per day but you’re probably well below that. If you find yourself urinating quite a bit throughout the day then a simple pinch of sea salt in your juices, water, food should suffice. I’ve only read a little of this, but you’re insulting my intelligence frankly. The size of salt crystals is to do with how they’re created – I’m sure you could create large crystals with table salt – this is not a property that’s going to affect the nutritional efficacy of whatever you’re eating. In other words, sodium choloride is just one type of salt – it just so happens to be the main constituent of sea salt and rock salt, which is what we’ve traditionally added to our food. 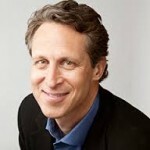 I would like to think that I’m getting my health advice from someone with credibility. Therefore, you might want to acquaint yourself with year 10 chemistry (not sure what that is in Canada – but basically 14 years old), to make sure you’re providing accurate information. read the book your not sick your thirsty by F. Batmanghelidj md. you need 1oz of water per 2lbs of body weight. 1tsp of sea salt per gallon of water. take the salt then drink your water on an empty stomach. if you weigh 256 lbs drink atleast a gallon of water with salt. if your going to drink a quart of water then take a 1/4 tsp of sea salt at the beginning of drinking the water. if your feet swell then dont do salt for a day. after 2 weeks i went in for my blood work up and my pressure was down. cholesteral was down by approx 80 pts. the blood tech who drew my blood said that my vein was deep but went in extremely easy. i dont go to my dr office to draw blood because the cant get my veins. i have to go to a blood bank and get their best to do it. but now i coould probably go back to my dr. my dr said that this was a fluke. i am not doing this as well. i drink 1/2 to a little less than a gallon per day. it can be a hassle to drink that much water and salt. but the keys are empty stomach, sea salt and water.